Sara on her 18th birthday, April 1, 1939. Notice the First Baptist Church dome in the background. “We always said no one’s past was safe in Greenwood because if someone had been talked about twenty or thirty years before it was still being recalled and sometimes used as the reason we were not to get too chummy with kids, because they might be like their parents. No matter how saintly and Godly they might have become, we were told that they had not always been like that. And if they had grown up on the wrong side of the tracks, that too was remembered regardless of how successful they might have become. “We had a lot of town characters, just as in any small town. One of the best known was Charley Ollie, the hot tamale man. 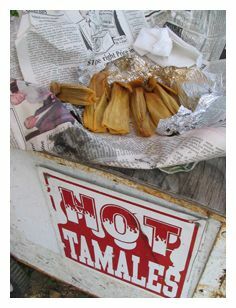 Charley was a Turk who had a little cart he would push up and down the street shouting, ‘Get ’em while they’re hot.’ You could buy a hot tamale for a nickel and pull the shuck off and eat them right there on Howard Street. I have never tasted any since that seemed quite so good as those put out by Charley Ollie. 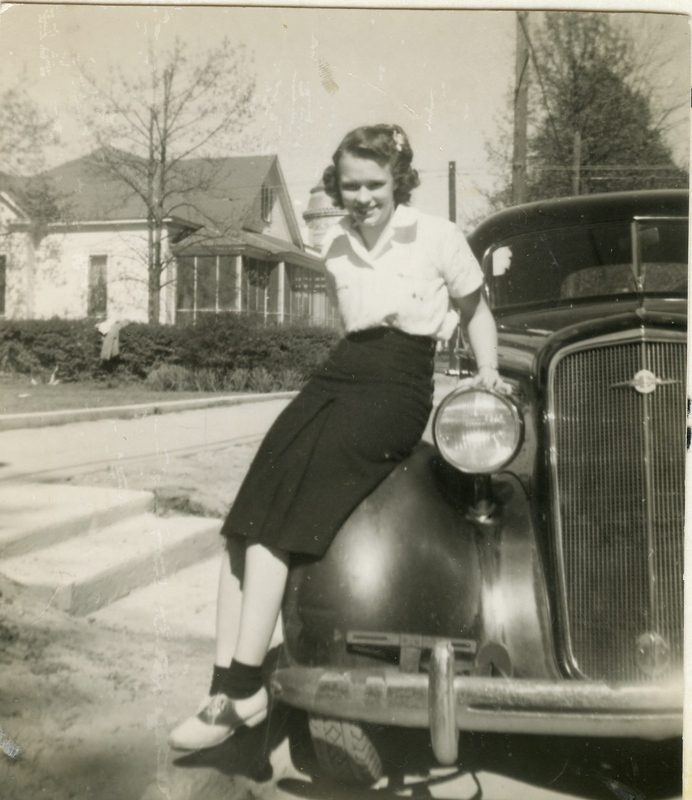 “Miss Daisy Wright lived in a big house which still stands across from the Greenwood Utilities. She was a do-gooder who at one time or another belonged to nearly every church in Greenwood because she would get mad at every one she was in if they would not let her run it. She donated the stone fountain next to Davis School commemorating the first artesian well (Greenwood gets its water from artesian wells) in Greenwood in memory of her husband, Charles E. Wright, who brought in the first well. The fountain has since been moved over toward Church Street after Davis School burned. There was a fountain on all four sides and we loved to drink out of it. 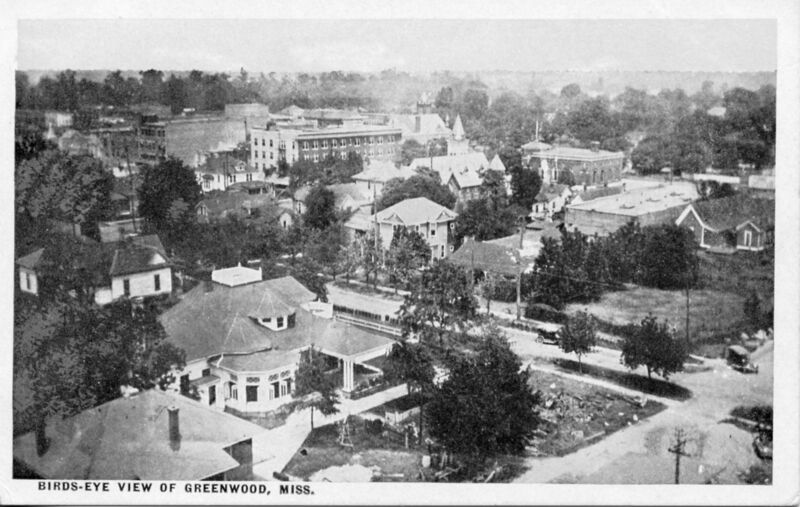 Downtown Greenwood from the Greenwood Utilities water tower; Miss Daisy's house is the large one in the foreground. Notice how many homes there are in the downtown area, circa 1930. Photo courtesy of Donny Whitehead. We could use some of Miss Daisy’s gumption in Greenwood these days. We still have an ample supply of eccentrics and off-kilter characters, and we’re capable of getting our collective dander up when someone wants to bulldoze a Boulevard house for no apparent reason, but I’m not sure we’re as tight-knit as a community like the one Sara describes. 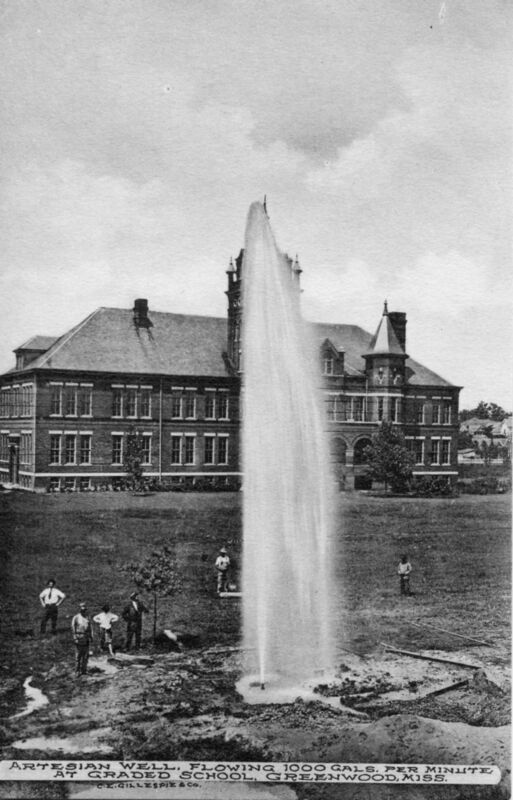 And our unique Artesian fountain at Davis School? After they tore down the old junior high and relocated the fountain, it seems that no one ever hooked it up again. There’s a lesson about civic pride somewhere in that sad little vignette.